Nate focuses his practice on patent litigation and complex commercial disputes. Nate focuses his practice on complex commercial disputes and patent litigation in the chemical and biological sciences. Nate has a degree in Chemistry, and prior to practicing law worked as an engineer supporting analytical instrumentation applications in numerous industries throughout the United States. Nate is a graduate of Cornell Law School where he served as an editor on the Cornell Journal of Law and Policy and was on the executive board of the Intellectual Property and Technology Law Society. Before joining Shaw Keller, Nate clerked for the Honorable James G. Arner of the Pennsylvania Court of Common Pleas. 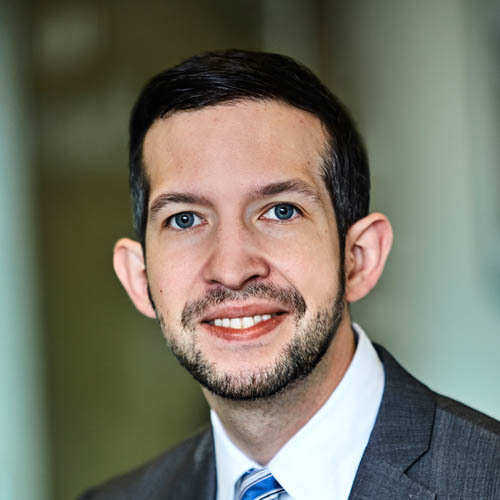 Since joining Shaw Keller, Nate has successfully represented numerous clients in the Delaware District Court, Superior Court, and Court of Chancery. Nate is also actively involved in pro bono work and frequently acts as guardian ad litem for Delaware children. Nate also served as part of the Shaw Keller trial team that, together with the ACLU of Delaware, achieved a favorable outcome before the Court of Chancery, securing the voting rights of senior citizens throughout Delaware.